Like I really need another addiction. Beautiful, except for the inevitable sneeze that follows. Endless, sometimes you just want the song to stop. Beautiful collection of photos. 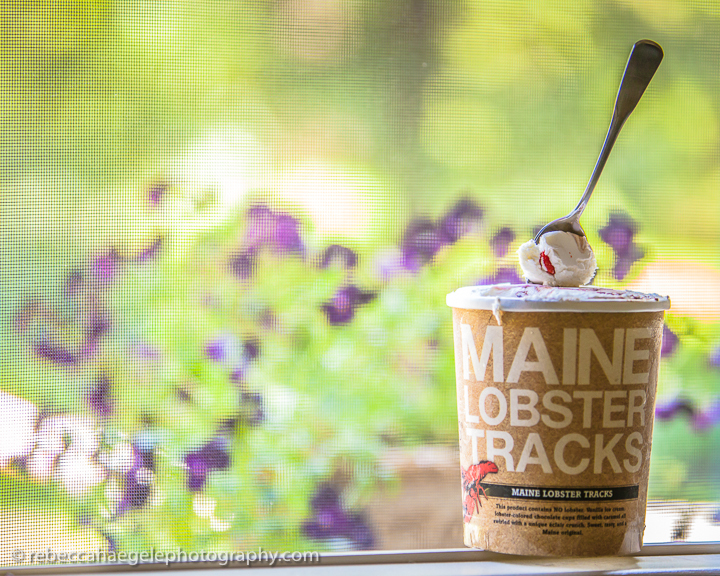 I'm still stuck on Lobster Tracks ice cream. Very curious about that. I suppose it is like Moose Tracks without actual Moose in it! ;) I love how you shot these. love the ears love that last eye candy... so maine lobster tracts is ice cream? that is what it looks like but the name doesn't sound like ice cream. Love the shots and great perspective! 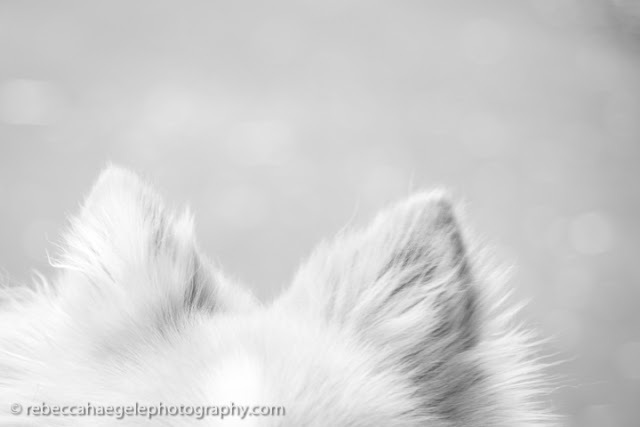 The dog ear shot is amazing! Great pics! I looked up that ice cream, sounds really yummy. I have that same birdhouse, I haven't checked to see if I have any eggs yet. love your shots and is it you in the last shot distance. Awesome! I love pomeranions, you are right, their fur is so soft and silky. Thank you so much for sharing your beautiful photos at our ready to waltz party. 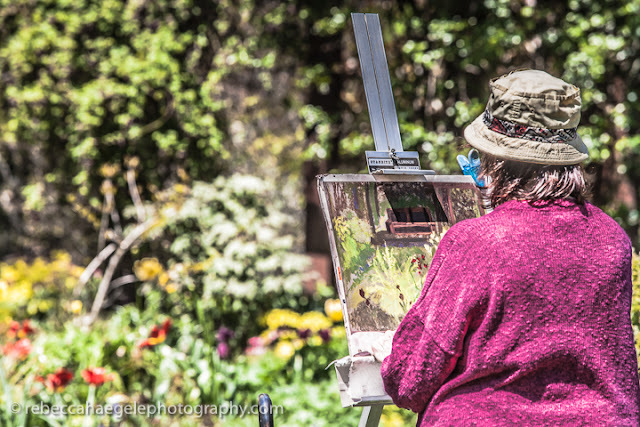 My favorite picture is the last one, of the painting! I thought, "Rebecca at her best" then wondered if there is ever any other way with you? I love how each shot is soft and romantic. 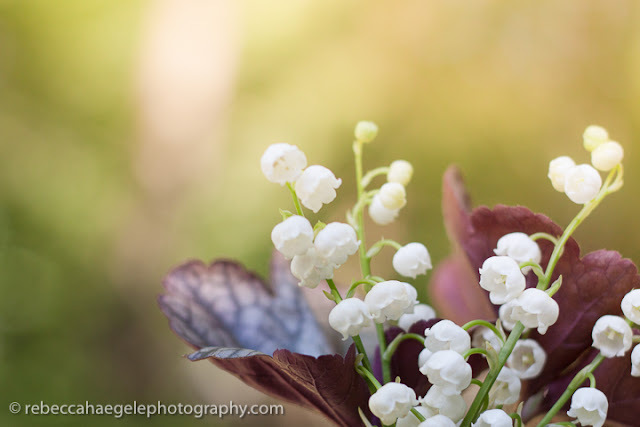 The lily of the valley is just beautiful! Wonderful photos. The new addiction sweet temptation looks delightful. Love the ears - so cute. Gorgeous Rebecca. Lily of the valley is the most wonderfully fragrant flower; I can smell it just looking at your photo. Now I'm wondering if the local ice cream joints that sell Gifford's are going to be serving this ice cream this summer. Great set of photos. 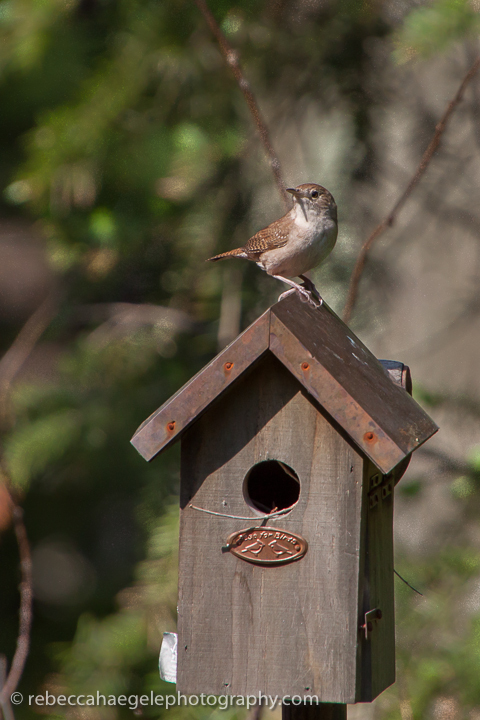 Love that bird house. No lobster tracks here. Sounds intriguing! Thanks for linking up. I am so intrigued by Lobster tracks ice-cream, I have to ask what it is - surely not Lobster flavoured ice-cream?